to a friend that her grandson the Duc de Charles was placed in a miniature triumphal car pulled by a large cat. A pigeon was a coachman and a favorite dog named Adrienne was seated with another dog named Picart was footman who was so well trained that Picart would let down the steps when it was time to get out of the carriage. On his off moments, Picart was often saddled to play horse for the royal dolls. In ancient China pugs were taught to hold candelas in their mouth to light the path, Poodles at Versailles were stylists who would hold a ladies train to keep it from getting dirty. You can see how important dogs were as best friends and entertainment of the royal children but did you know they saved lines? King Edward Vl was saved in. 1549 when his barking foiled a kidnapping plan. of canines. In first Century AD, top dogs could expect intricate silver collars. 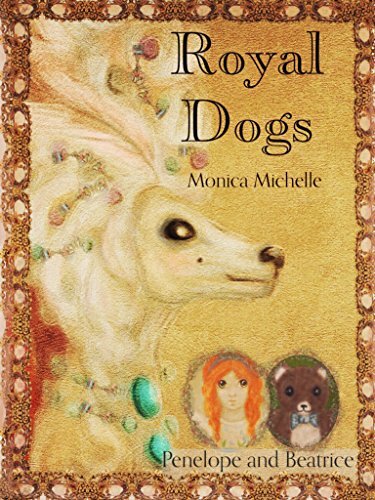 In the Renaissance, a royal hunter could look for a bejeweled collar while dogs meant for lap or sofa did not need anything but ornamentation. Louis Xl of France gave his greyhound, Choami a collar of scarlet velvet with 20 pearls and 11 rubies. The Nawab of Junagadh Mahabat Khan Rasul Khan might be the most lavish for his good dogs, there were 150 of them. For his favorites, he gave diamond collars for their formal oil portraits. It pays to be a good dog. Mao Shih Tzu the dogs were fitted with collars covered in bells. Since the dogs were with the emperor the servants always knew where he was.